The dangers of driving under the influence are well established. Despite the danger, people continue to drive drunk – and their victims continue to suffer serious injuries and wrongful deaths as a result. In fact, according to the Illinois department of transportation (idot), more than 33 percent of all fatal car accidents in 2011 involved alcohol use. 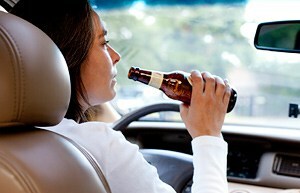 Have you or someone that you love been injured by a drunk driver in Illinois? At the law offices of Goldberg Weisman Cairo, when we represent clients who have been injured or the families of those who have been killed by drunk drivers, we pursue damages to the full extent of the law. Our team of highly trained attorneys know that we cannot restore our clients to perfect health or undo their tragic losses, but we can help our clients obtain the best financial compensation awards available and bring them a measure of justice. With more than 30 years of experience handling drunk driver accidents in Chicago, we know the benefits of immediate action and aggressive litigation. As soon as we accept your case, we will send our teams of lawyers, investigators and experts to begin work on your case. Talented team of attorneys: We are a large firm with more than 30 years of personal injury and auto accident litigation experience. We have the personnel and financial resources to take your case as far as needed to get the compensation you deserve. Network of professionals and experts: From accident recreation experts and forensic experts to doctors and financial experts, GWC has a network of professionals to help us present the most compelling case for our clients. Aggressive approach to litigation: When we are representing our clients’ interests and fighting for their compensation in the courtroom, we never hold back. We offer unparalleled representation and service to the victims of drunk driving accidents. If you have been hit and injured by a drunk driver, having access to accurate legal advice is a very important step in the recovery process. As the largest personal injury law firm in Chicago, our auto accident lawyers have the experience, resources and determination to fully litigate your claim and guide you safely through the entire litigation process. Talk with one of our attorneys in a free, confidential setting to discuss your case. Call 1-312-464-1234 or contact us online by filling out our “Free Case Evaluation” to schedule your free initial consultation.